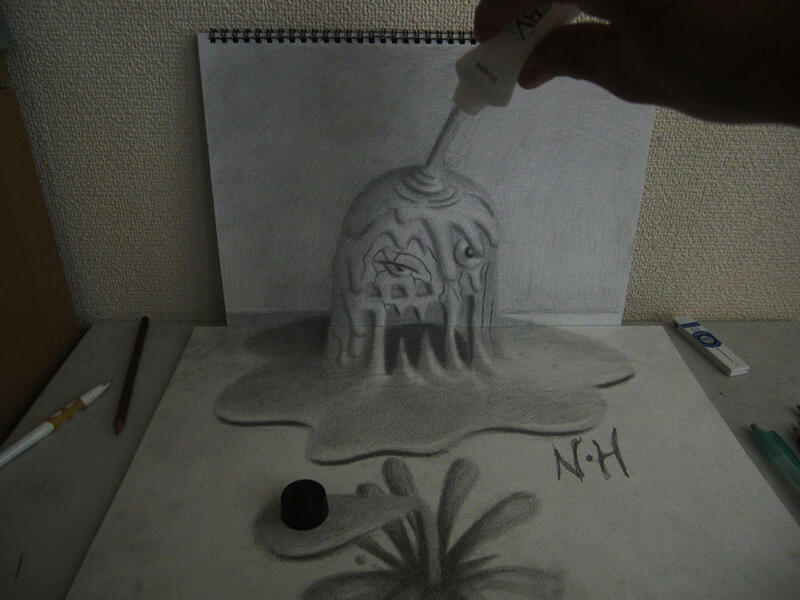 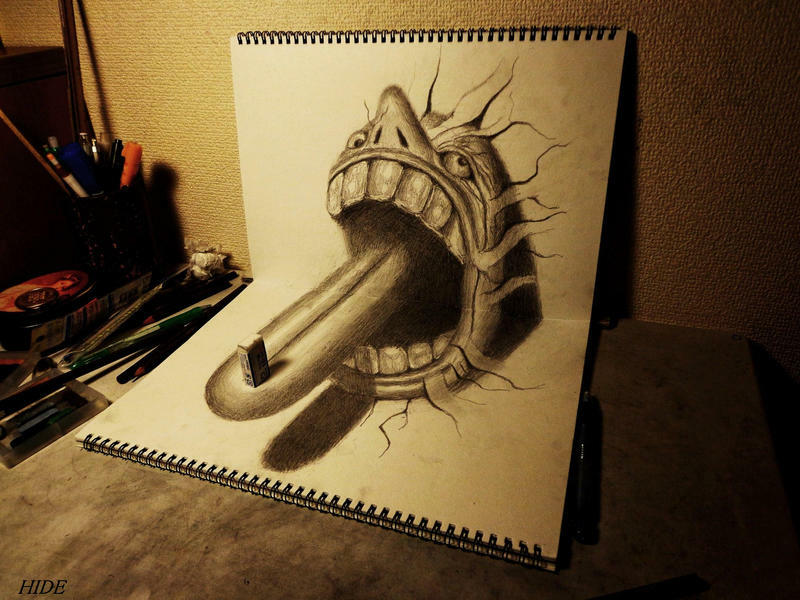 Japanese Artist Nagai Hideyuki Produces Some Of The Most Astonishingly Realistic Three-dimensional Drawings That Look Like They’re Jumping Off The Page. 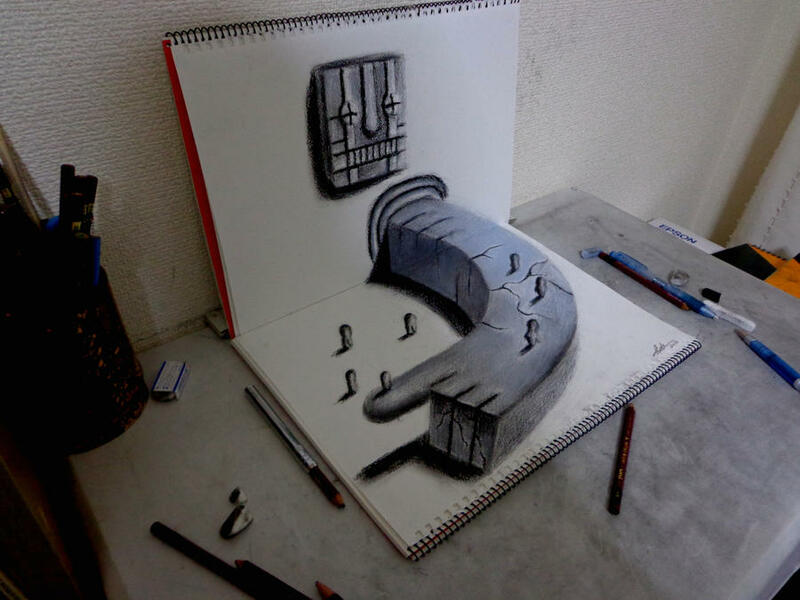 The Young Illustrator’s Works Of Art Are Humorous Anamorphic Illusions Featuring Hideyuki’s Creative Cast Of Characters Popping Out To Work Together With Our World. 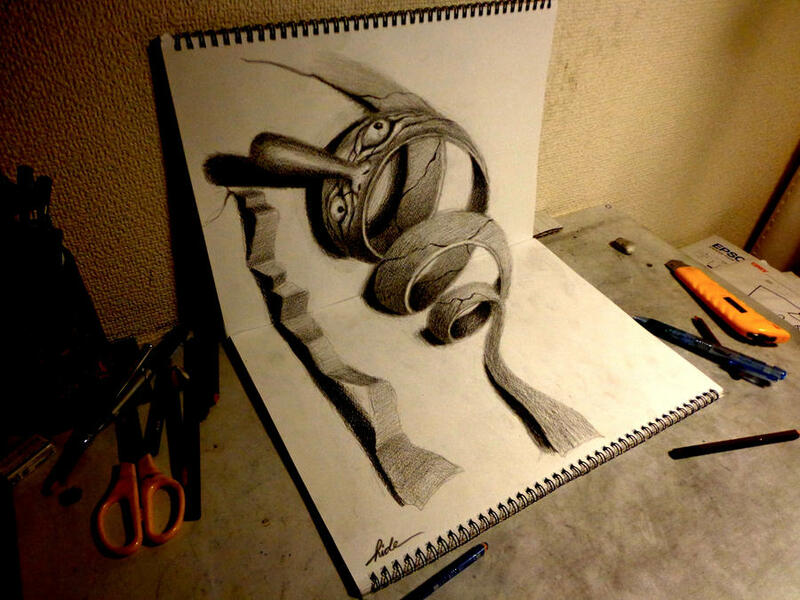 The Artist’s Inspiring Creations Are Particularly Effectual In Their Sculptural Appearance Due To The Clever Perpendicular Positioning Of Two Sketchpads. 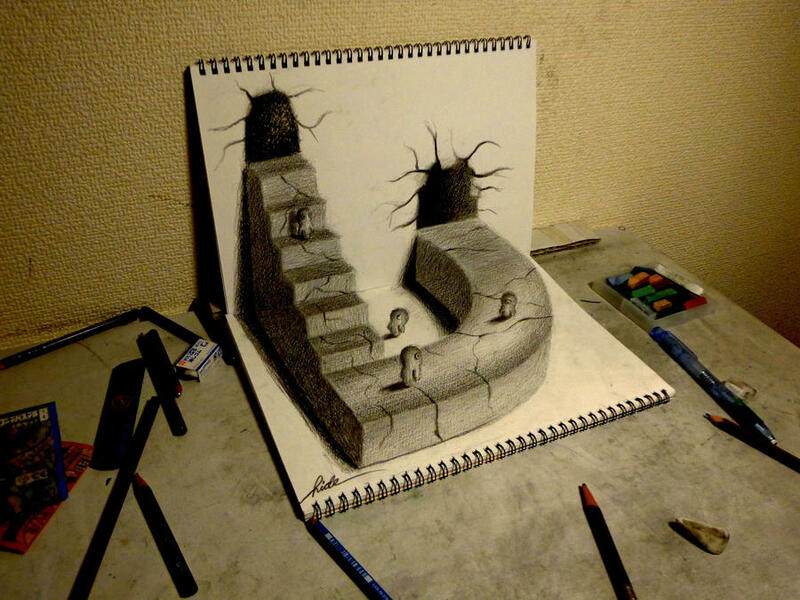 It Adds A Visual Believability To The Artist’s Optical Illusions That Rely Heavily On Perspective. 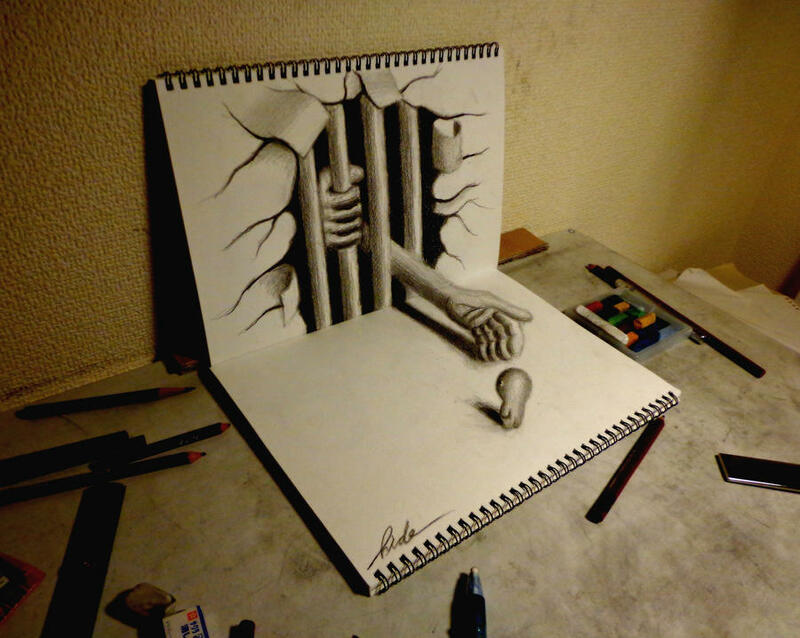 Each Illustration Is More Mind-blowing Than The Last. 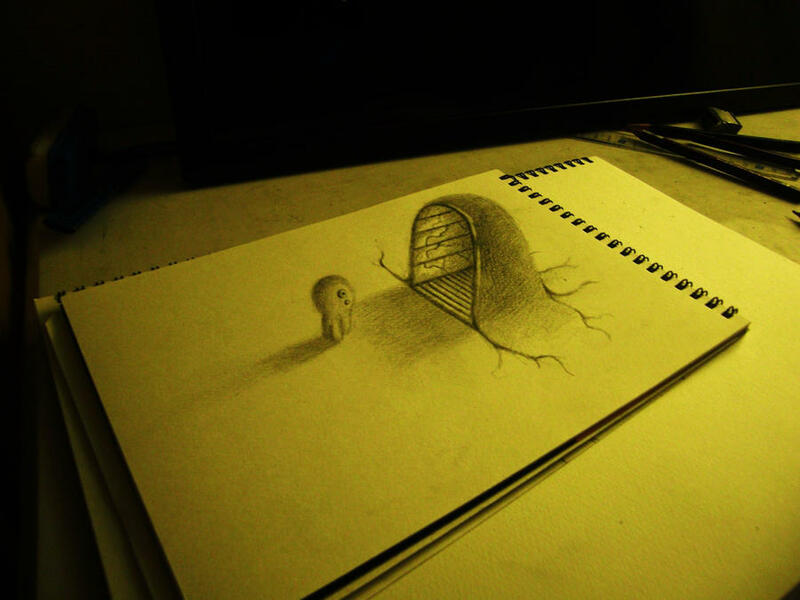 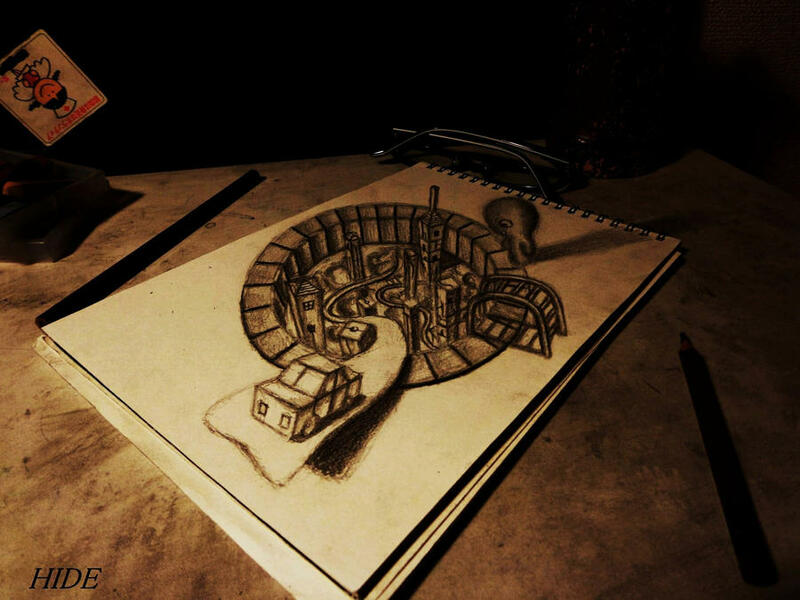 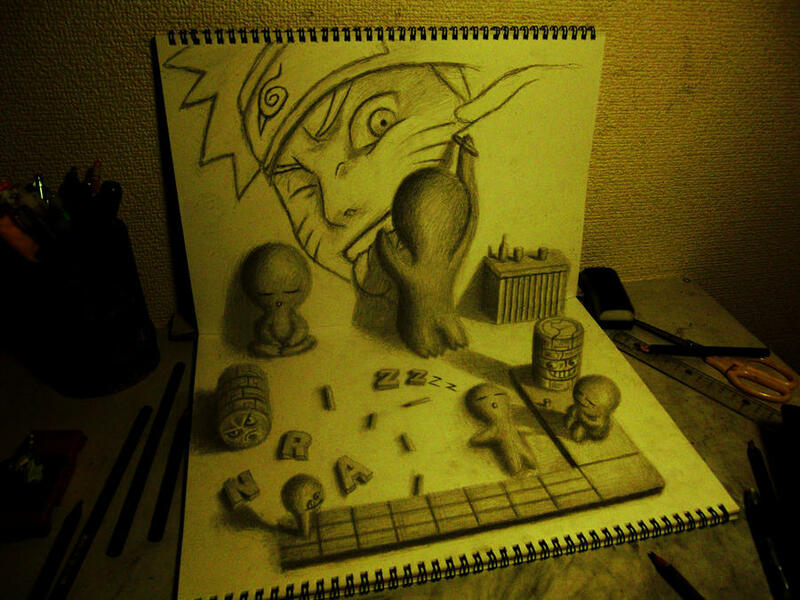 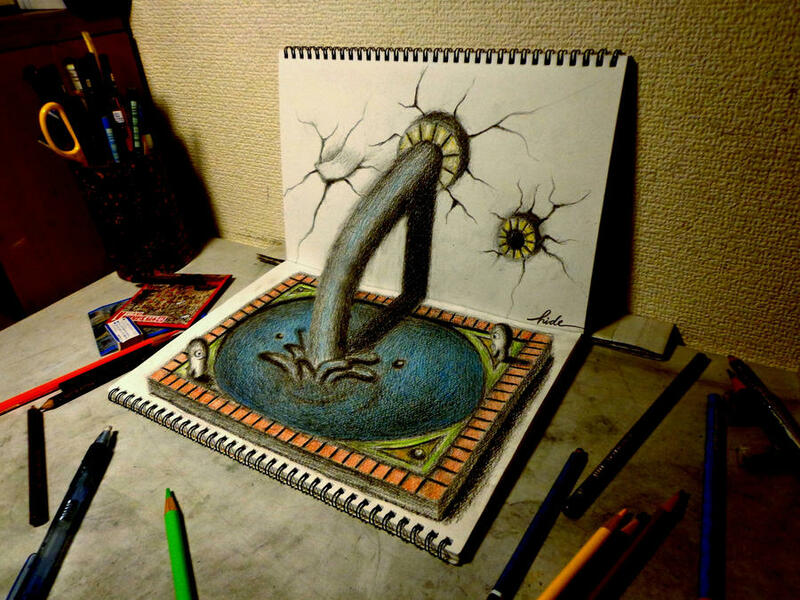 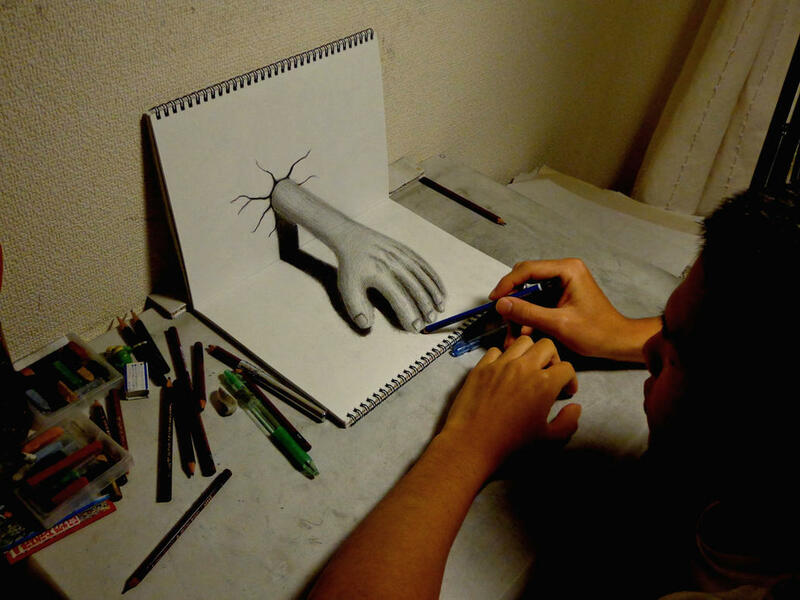 His 3d Arts Are So Creatively Designed That One Cannot Stop Imagining For Once That This Is Something Real Popping Out Of The Image. 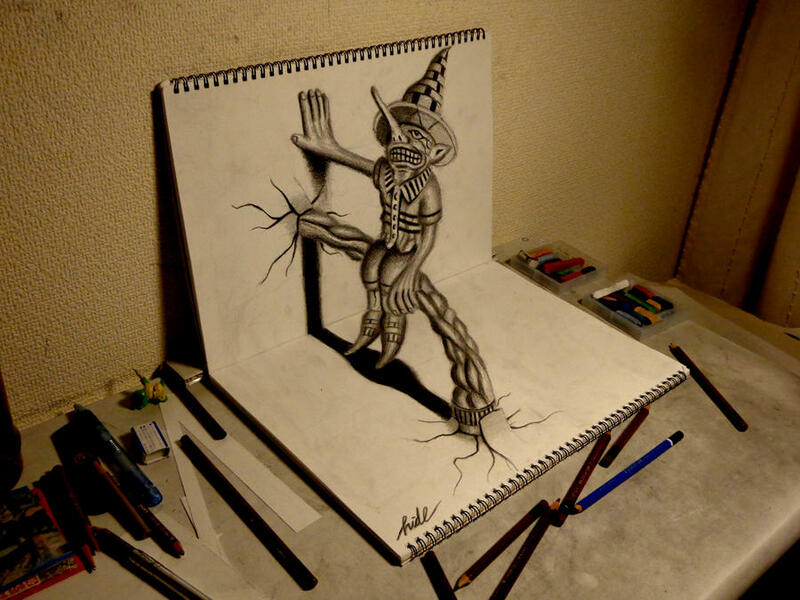 He Is Truly The Master Of Fine Art Illusion Who Never Fails To Impress Fans With His Creative Arts. 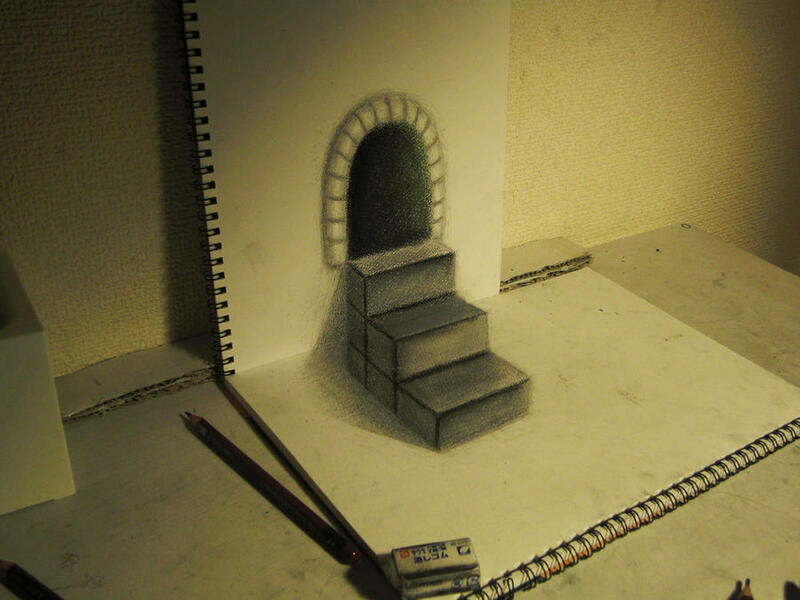 Hideyuki, 21, Creates Tricks Of Standpoint By Playing With Where Light And Shadows Would Fall If The Object Really Were Coming Out To Meet You. 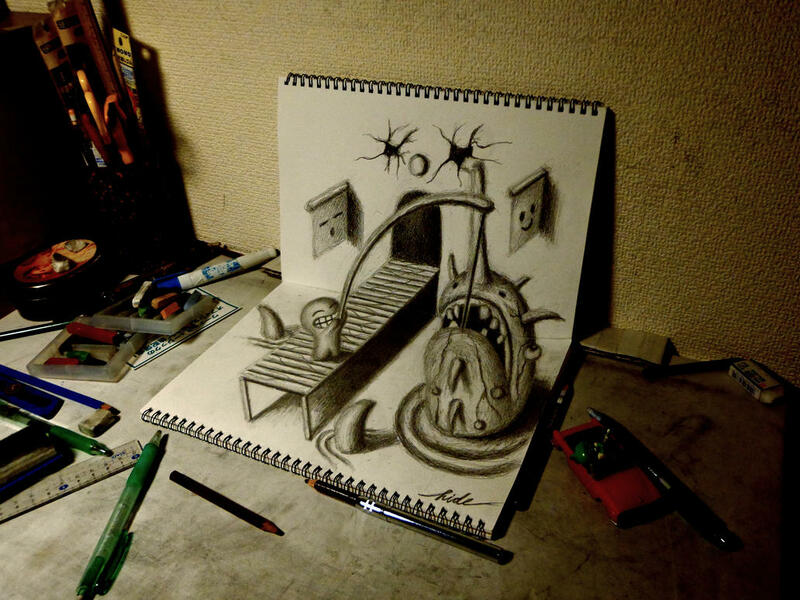 Once Propped Against A Wall These Vibrant Optical Illusions Work Flawlessly To Create A Marvel Effect. 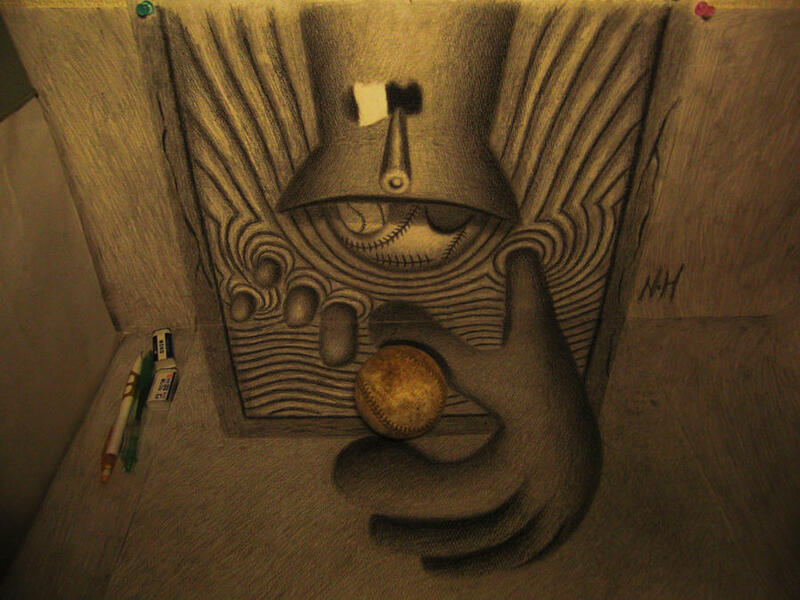 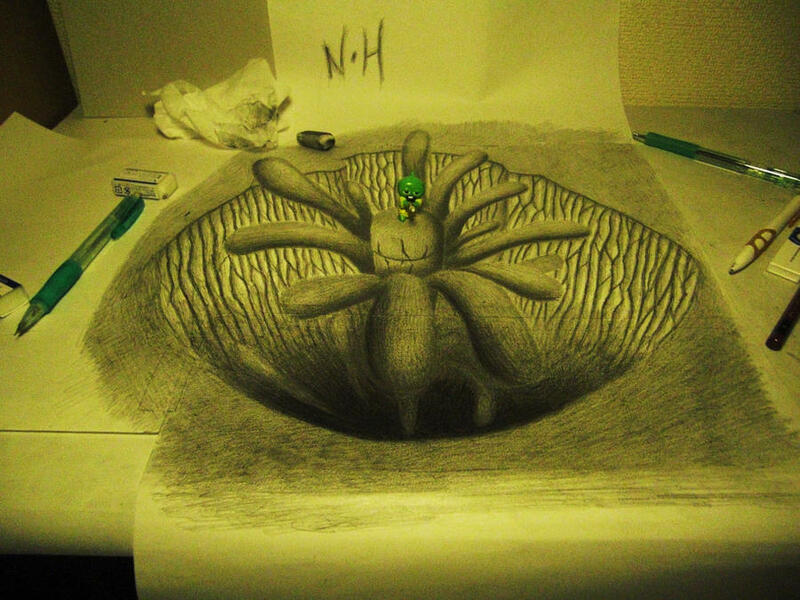 He Creates These Wondrous Arts Just By Using His Pencils, Sketchbooks And His Eye For Detail. 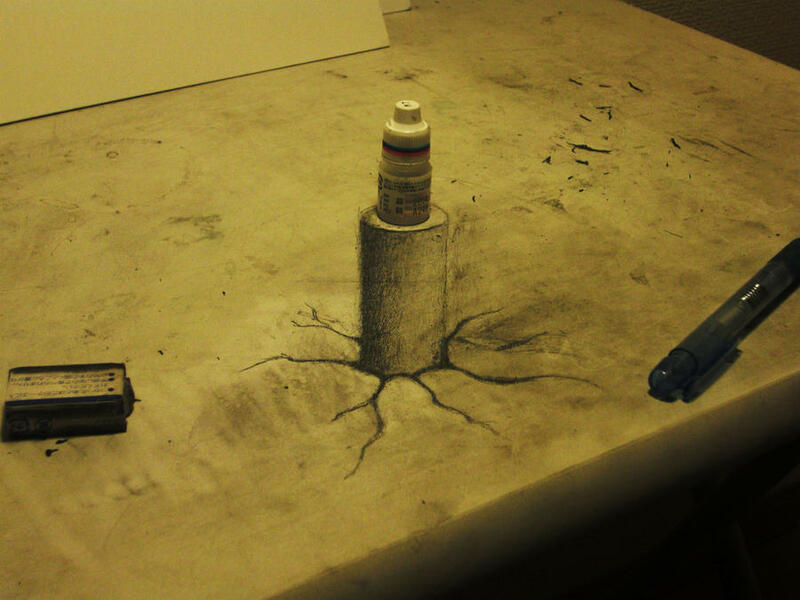 Hideyuki Says He Is Inspired By English Artist Julian Beever’s Street Art, Which He Does In Chalk On Pavements. 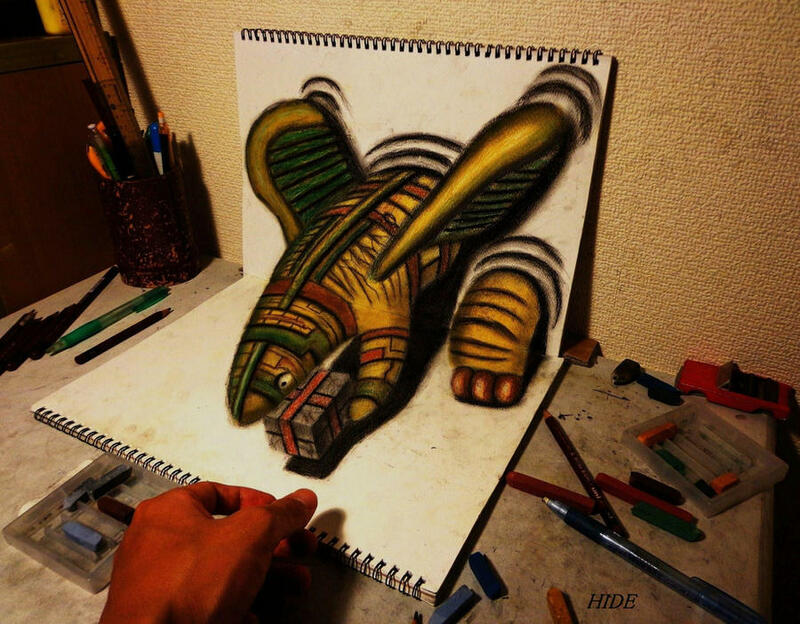 His Ability To Draw So Well In Three-dimensions Came From The Restrictions On Street Artists In Japan. 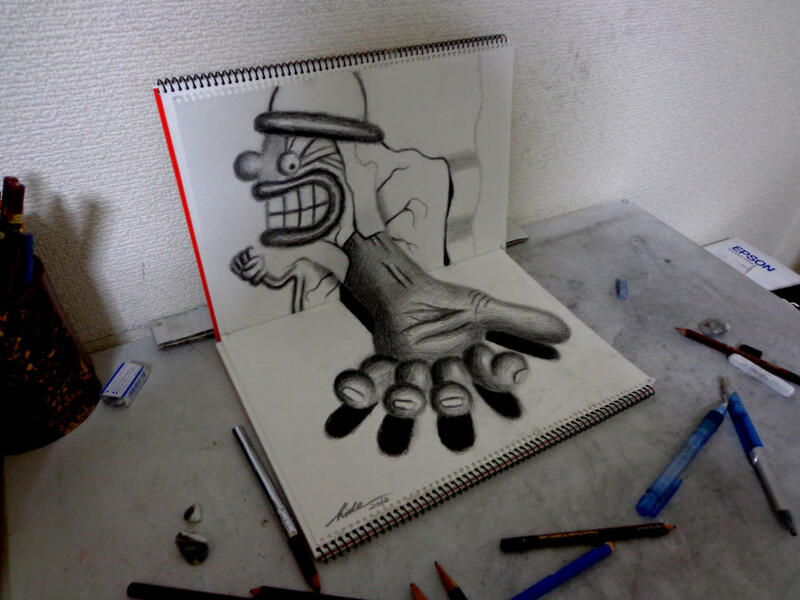 He Wanted To Work To Resemble Street Art That Pops Out From Walls. 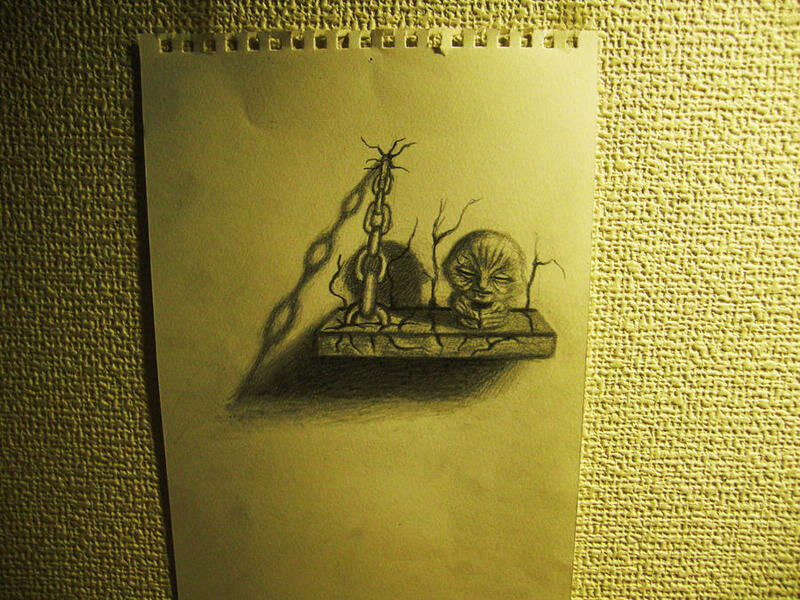 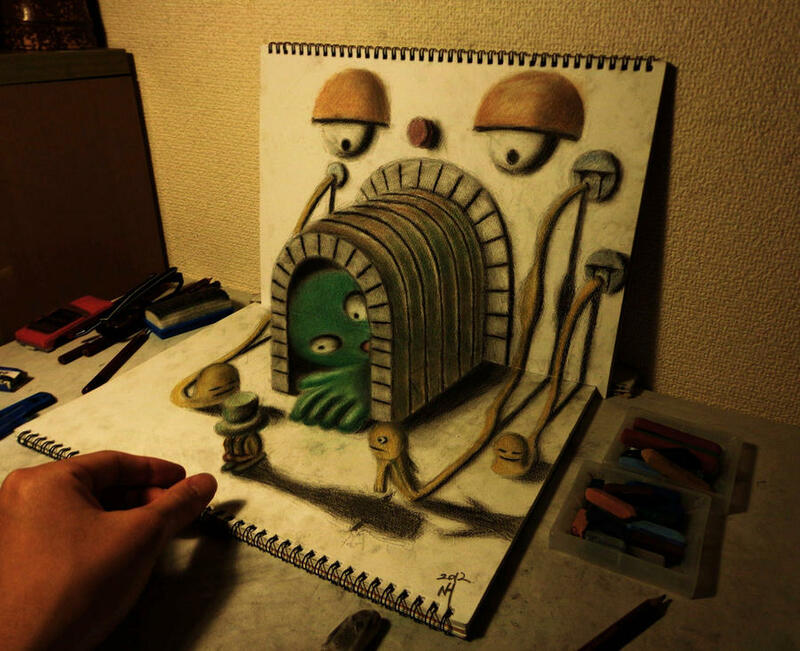 Because Of Stricter Laws In Japan, Hideyuki Has Been Restricted To The Confines Of His Sketchbook But It Has Not Stopped Him Making Equally Impressive Artwork, Letting His Imagination Run Riot With Everything From Gremlins To Trains To Gaping Mouths. 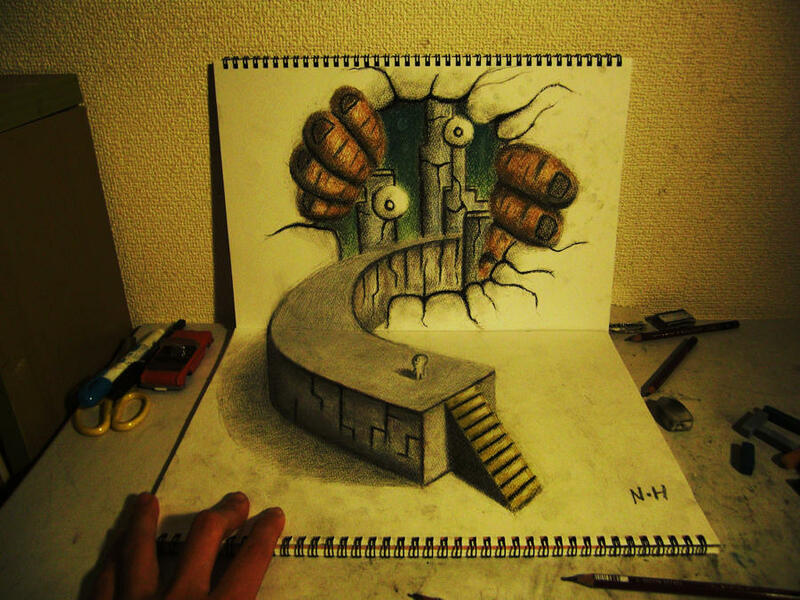 Hideyuki Uses His Lively Imagination And Tricks Of Perspective To Create Vivid Imaginary Characters. 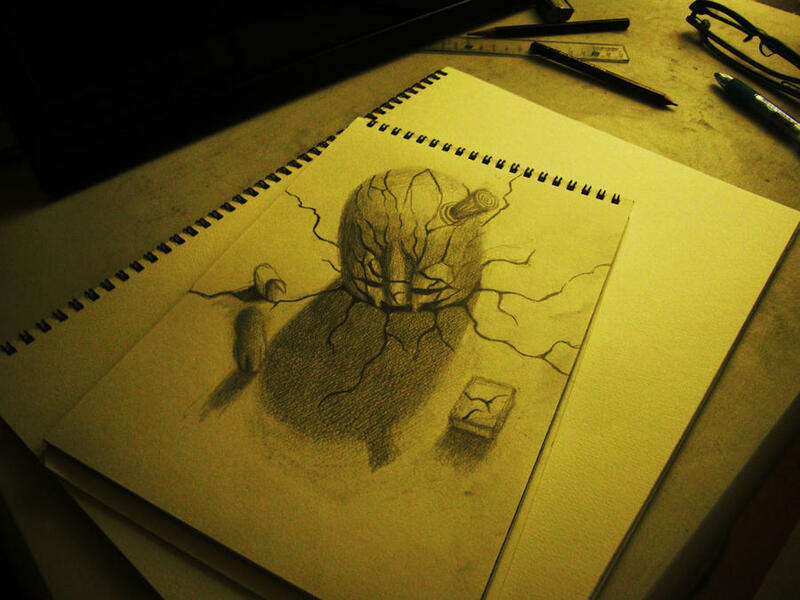 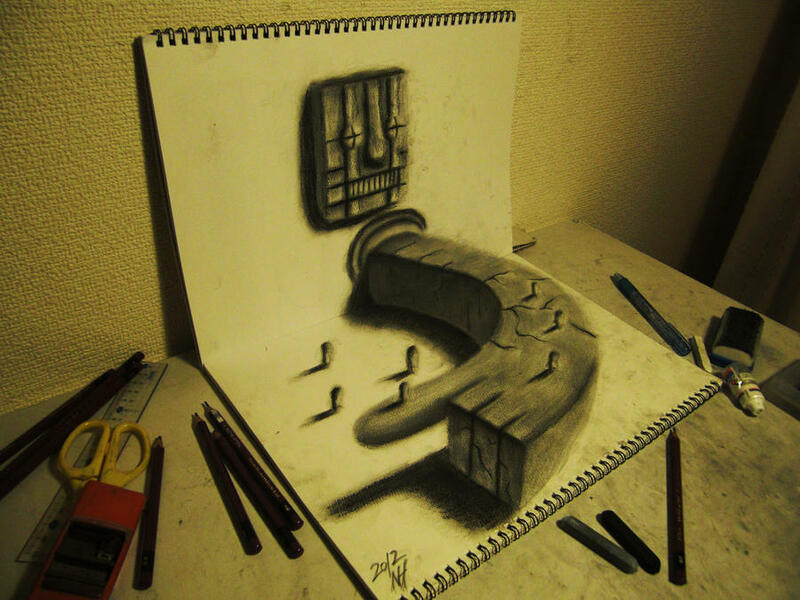 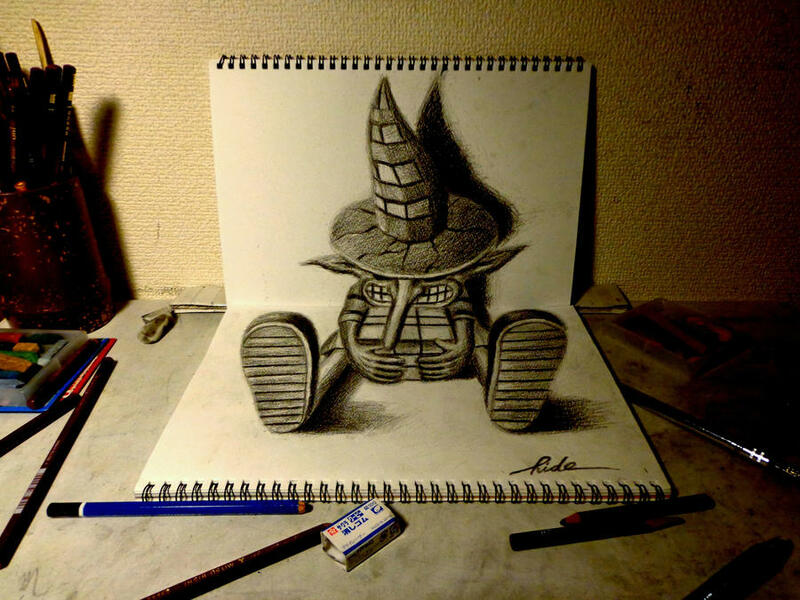 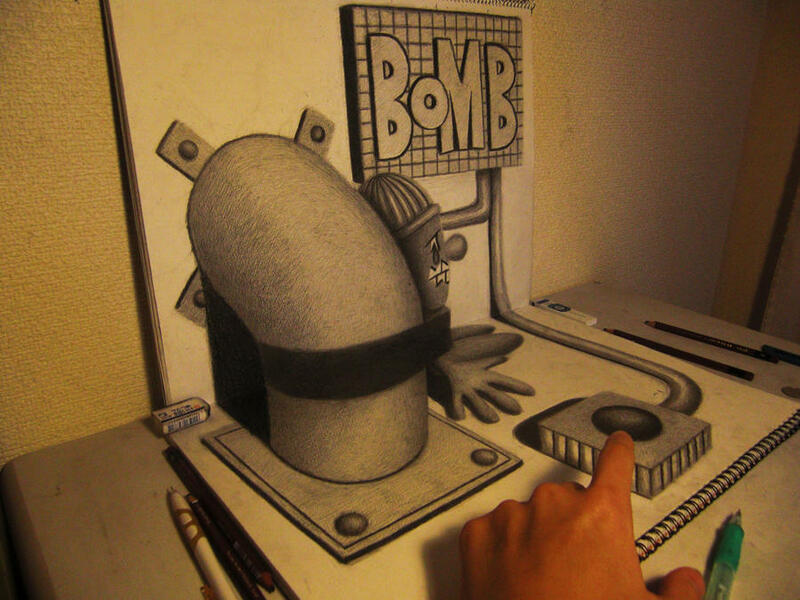 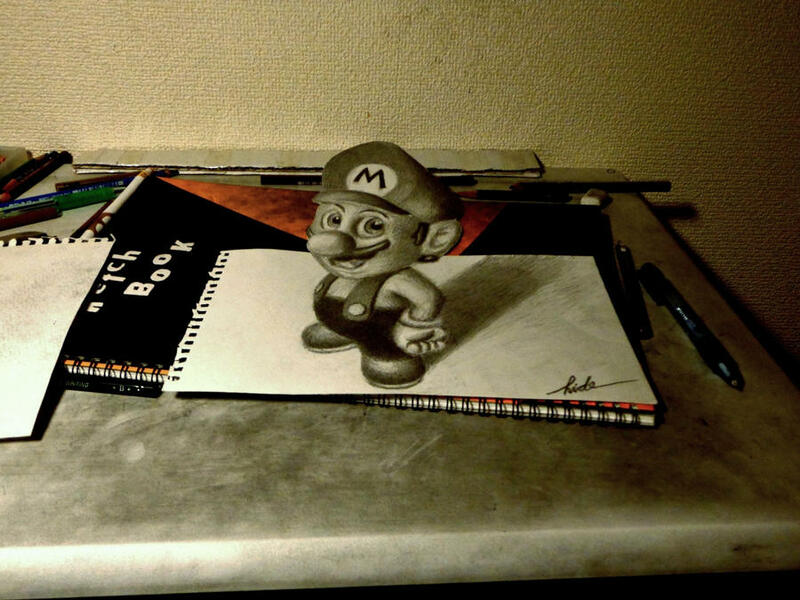 Take A Look At His Amazing 3D Creations!